From maligned and near-extinct, rye whiskey has undergone a serious renaissance over the past decade. A lot of that is down to one man’s passion: the late, great Dave Pickerell. Dave passed away at the end of last year but his imprint on whiskey is huge. Master distiller at Maker’s Mark up to 2008, Dave went on to start up WhistlePig Rye in Vermont and breathe new life into a sleeping American classic. Here, in our first Grain Focus interview; Alex spoke with Daniel Khan - the senior steward of the brand - to debunk a few myths, chat American history and knit through the fabric of the Whistle Pig story. We’ve been trying to get a WhistlePig drink on the menu for a really long time, we’ve been selling it on the back bar, but I guess the problem is in the UK is that rye whiskey sits in a bit of grey area which is one of the things we wanted to address here. Our notion then, with the Midnight At Bernies, was to try bring this forward and make the best damned Old Fashioned you could think of: we’ll take the maple syrup from the same farm where the best rye in the world is made and you can sub in blood orange zest for the orange, bergamot for the lemon, everything amped up to an an 11 out of 10 for an expression that is still the only cocktail a lot people (men mainly!) know how to order at the bar. Is it becoming ‘normal’ for WhistlePig to feature in cocktails? More normal than you’d imagine! We’ve seen a big trend towards ‘premiumization’ in the last decade or so, the craft cocktail culture (rooted in classic cocktail culture) has just exploded so people are really starting to drink better if not more, right? When you talk about premium whiskies in cocktails, for example, there’s an associated price. In reality you can get your pour costs down to 30 cents an ounce for a whiskey cocktail but, is that really going to be the best version of the Old Fashioned? Chances are you’re going to use a cheap by-the-gallon simple syrup for those sort of cocktails. However, if you want to give your consumer an experience that is more than the base flavour alone - and the flavour should always be exceptional - then why not give them a story to tell with it, give them a narrative behind the product itself? I think that’s what WhistlePig stands for and obviously you support that pretty heavily with the programme that you have. I guess there’s a myth that perpetrates around bar culture where you’d say that “you don’t want to use the good whiskey in an Old Fashioned because you’re using the other ingredients that go into an Old Fashioned to amp up entry-level whiskey”. So you can make your standard speed rail whiskey stand up more by mixing and masking that in a cocktail and that the stuff that you guys are making is made with such finesse and at such a high standard that you shouldn’t mess with that. You’d call BS on this right? Well remember I’m the consummate sales person so I’d never call bull-sh*t on anything! I think that people’s experiences with whiskey should be their own. There are tonnes of purists out there that will not let a drop of water touch any WhistlePig they pour but, you know, from my perspective here you’re the consumer, you’re spending the money for the drink experience. If you want to have WhistlePig neat I’d absolutely encourage that but if you’re an Old Fashioned drinker and that’s what you want to kick back with at the end of the day I don’t see any reason why you should have to settle for a bottom rail whiskey when you’d like to have the big rye style from a WhistlePig or something a little higher proof? It’s a sort of ‘choose your own adventure’, right? That’s it! I like that I’m gonna use that later during service. “Choose your own adventure.” But, in particular the adventure you choose should be this very fine £24 Old Fashioned we have here! We do get a lot of people who come in and look at our nice little whiskey selection, scotch and bourbon are the ones the UK consumer are very familiar with, I was wondering if you could educate us a little on the background of rye, why you guys are making rye and just a very short run-through the weird legalese that exists in the whiskey world that separates rye from bourbon and scotch? Perfect - I love this question! A lot of consumers don’t recognise the fact that whiskey is really a category that’s got to be broken down and defined by the cereal grain used. Our late master distiller - Dave Pickerell, the founder of WhistlePig - his vision was to prove that you could take a rye grain and make a whisky that was as good as, if not better, than your best bourbons, scotches, Japanese and Irish whiskies. If we go down to a grain level let’s use bread as an analogy: think about corn bread versus wheat bread versus barley bread, when you get to rye bread you’ll notice that it’s much more pungent and robust often to a fault. Most children don’t prefer rye bread they’d rather go for the white wonder bread, right? All of that comes down to the grain that’s used but there’s just so much inherent flavour in rye. So if you’re a master distiller and you see that discrepancy why not take that maligned grain and try to get the best out of it’s flavour potential? That’s really the principle on which Whistle Pig was founded. That’s to create the world’s best whiskies using rye grain. Historically, there’s a great story behind rye whiskey. In the US rye was actually the original whiskey. George Washington - the founder of the US - was the largest producer and distributor of it! It wasn’t until prohibition in fact that rye started too fall by the wayside. If you think of agriculture in the US in the 1800s, up north was nearly all rye grain and down south there wasn’t nearly the prevalence of corn that there is today. Then you would have had a much higher yield of tobacco and cotton, and a lot of that had to do with cheap labour. Once that fell away after the Civil War with the end of slavery, corn started to take over the South and the availability increased. But, I think the most important factor in the resurgence of bourbon was during prohibition. During the 13 odd years where whisky production stopped in the United States, FDR at that time instituted the New Deal and it was this little bit of legislation whereby the US government would subsidise the US economy through agriculture and, the horse that they chose was corn. In practice the government would pay you to grown corn and once the corn was harvested the government wouldn’t take it off your hands. So, effectively you’re paid to grow it but then you’re sitting on all the product at the end. When prohibition was rescinded in 1933 you had all these farmers that were a little bit entrepreneurial recognising they got paid for the corn itself and could add more to the value by starting to distill whiskey from it. Looking at the science, corn is a much better grain to make whiskey from an economic standpoint. Corn has the highest amount of sugar of any cereal grain around and sugar is the food that makes alcohol. So between the mid-1930s and 50s bourbon production (corn whisky production) sky-rocketed and rye grain falls by the wayside. There’s increasingly less rye being grown in the north because corn has such a large area in which it can be grown and really what it comes down to is subsidy: it was so much cheaper for American farmers to grown corn. Enter the 1950s through active congressional legislation: bourbon becomes America’s official whisky and that was really the last nail in the coffin for rye whiskey. To this day the adage is: ‘Rye whiskey is what my grandparents drink’ because that was the last generation that really had an affinity for rye. I think we’ve had a similar thing here with sherry. When I was growing up sherry was seen as being Margret Thatcher’s favourite and only drink. It’s what she would have once a year with Dennis at Christmas. So it was about as unsexy as you could possibly get. But now it’s enjoying a bit of a renaissance! That’s a very British thing to hear! I didn’t know about Thatcher’s sherry proclivity - the only thing I could steer back to is Winston Churchill and his ‘alcohol’ proclivity! I think he was a bit of a jack of all trades in that category? I think he liked a drink! So, in a way you’re saying that FDR is the root of the bourbon craze? Erm… I don’t want to be too reductionist. But, if there’s one signifier in the rise of bourbon it would absolutely be the New Deal in the early 30s. Back on to what you are saying earlier - how would describe the flavour profile of rye in comparison to a bourbon? In my experience people reach for a bourbon who find a scotch a little harsh. Because of that perceived honey-lick. Rye sort of draws a bit more of a quenched face when offered. As you said yourself, when using the bread analogy rye’s not the most palatable choice. So is there a sort of ugly duckling magnetism to the grain? Going to your point on what the base flavours are: in my experience of whiskey if you’re looking for something on sweeter side you steer toward the bourbon, it has those caramel, honey and vanilla notes; whereas rye tends to have little more of that spice - allspice, black pepper, even some baking spices - those are all standards you can pull out of a rye. I want to draw attention to this: aged rye whisky, the size of this category, is incandescently small! So when people think of your average bourbon you have access to 9 year Knob Creek, they have vast vintages available for public consumption. When people think of rye whisky are they thinking of Jim Beam rye, Old Overholt or Rittenhouse all of which are just the tip of the spear. You know, I’d hate to think the entire bourbon category is going to be summarised as Jim Beam white label. But, in many ways I think that might be the, I don’t want to say prejudice, but when entering the rye category there isn’t a whole lot to go after. I think that’s one of WhistlePig’s strengths is that when we came out we started with a 10 year age statement because, look at your single malt category, look at your bourbon category: age matters. The amount of time that the grain spends in the wood matters. We really wanted to make sure we were on the right side of history with that. So we came out with the 10 year as our initial whiskey. Historically again, to lean back on something we touched on earlier but maybe that got slightly washed over, is the question about the different grains and production. Is rye a notoriously difficult grain to make whiskey from? You said it was the ‘original’ grain that Americans made whiskey from and mentioned the complexity of the flavour. But asides from corn being more readily available, is it harder to get a decent product out of rye than it would be out of corn? It absolutely is. In many ways our late founder - Dave Pickerell - was viewed as the godfather, he gave birth to rise of rye whiskey in the early 2000s. Just to give a little background on Dave: he was the master distiller at Maker’s Mark for about 14 years, he retired from there in 2008. During that time in the early 2000s he was also contracted by the Mount Vernon distillery. Now Mount Vernon is famously George Washington’s estate; they wanted to rebuild the distillery that Washington used. They had all the plans for it and just needed a distiller to spearhead the project. They went through the ledgers and figured out how much grain he was growing, how much he was shipping, how much he was buying. And then, basically, Dave came in to try reverse engineer the very whiskey that came from this distillery. He’d already started to note then that when he tried to use rye in with conventional distilling techniques a lot of times it wouldn’t do the job that you would want it to. For one thing there isn’t a whole lot of sugar in the grain so there needs to be an additional step to break down the longer chain starches into the sugar needed to make alcohol. Here’s the story as he liked to tell it: when the still was built up at Mount Vernon and he was there trying to figure out how to make this recipe, they wouldn’t use any modern conveniences. He wanted to create the whiskey the same way George Washington would of. So, the various stills that they built were wood fire, they didn’t have any electrical agitators, everything was stirred by hand, the fermenters were 100 gallon barrels. So it was essentially set how you would make whiskey back in the late 1700s. And, when he tried to figure out the right recipe with rye grain, it still kept on failing. He realised that the rye was going to start to foam up because when you’re dealing with rye grain in a mash it gets really, really sticky, very tacky. Think of almost like concrete mix or a paper maché with not enough water. It really starts to gum up! So he had to figure out a way to break that down. Again that’s because there wasn’t that much sugar so, now we know, that the easiest way to make a rye whiskey is to cut it with about a 5% barley malt. If you throw that in there, the barley malt dilutes the concentration of the rye, that allows the yeast to start to digest all the sugars. If you’re going for a conventional 100% rye whiskey, oftentimes you need too figure out some kind of way to further process or breakdown the starches in rye grain. There were two predominant styles of rye whiskey: one is going to be this ‘pure’ rye called the Monongahela style named after the Monongahela river (also known as a Pennsylvania style rye); the second style is going to be a Maryland style rye which includes some malted barley. It’s funny because when I was learning about sprits and doing induction training to get into the industry, 12 or 15 years ago, we were slightly indoctrinated with this idea that rye whiskey was a solely Canadian product. Canada Club was often the only example in the category! Does that tie in with the whole prohibition into new deal narrative you’ve told us about here? That rye production went north of the border? That’s like in California a few years ago when only ‘medical’ marijuana was legal; you’d see those little Weed Doctors doling out prescriptions on the Venice broadwalk next to the shop where you could go in and buy your weed. There’d literally be a sandwich board outside the doctor’s office advertising: “Do you suffer from cramp, headaches, back pain, nausea…” All these very common ailments and you’d just walk in get a prescription and go next door to get your ‘medical’ 8-bag of weed. Obviously, that was the pre-cursor for what they have now which is legalisation and a lifting of that prohibition. I mean, look at the similarities between the two and the boom in that industry at the moment! Yeah, very much so. The first prohibition in the 30s and 20s against alcohol, well, clearly, that didn’t work! In many ways we’ve been in a much more prolonged prohibition against marijuana, for almost a century now. Then, in many ways, it’s fortunate now that that is starting to fall by the wayside as the trend is towards legalisation in most places. Apologies for digressing! Essentially, with Canadian rye, they do grow far more rye than in the United States to this day. If you go to Canada and ask for rye they’ll just give you that Canadian Club or whatever whiskey they have on their rail. They call it rye because Canadian whiskey, going back to prohibition, had more rye in it than bourbon to this day and age. Interestingly enough, in Canada, the nomenclature that people say when they use “rye” really just refers to the whiskey they produce. More often than not it just has more rye, instead of 5 – 10% rye it has maybe 25 – 30% mash bill, the rest of it can be a corn base or just a neutral grain spirit base. It’s quite interesting: I think Canadian whiskey has suffered for that reason, because they don’t have such strict limitations as American bourbon and American whiskeys do. You can add flavour, you can add colour, and the fact that you can even refer to it as a ‘rye’ when in the United States it would be considered a bourbon because of its’ mash, creates an awful lot of confusion with that term ‘rye’. There’s a lot of ‘craft’ American producers with both a bourbon and rye offering now. That’s absolutely true. When we started WhistlePig the main ones (ryes) out there on the market were Rittenhouse, Old Overholt and Jim Beam. Sazerac had limited amounts of their 6 year and 18 year but no-one was buying it and you could get the 18 year for under $100; problem is no-one wanted it! However, come 2010-11 it was WhistlePig, it was Hudson who had the Baby Bourbon doing the Manhattan Rye, there was High West and Angel’s Envy. Just from my personal experience I feel this was THE class of craft rye whiskey - or even just craft whiskey; or those who eventually went into rye. I’ve always thought of them as sister brands to WhistlePig and in many ways our successes have matched one and other as we’ve grown through the last eight years. So, on the history of the company as a whole there seem to have been, from my reading at least, these three pillars that came together rather perfectly for you guys. One being Dave, obviously, the other being the farm and, the third being this… was it ten barrels, or some 10 year aged barrels from Canada that you had in surplus and no-one wanted? For sure - so, WhistlePig’s very first whiskies were purchased from a distillery in Canada called Alberta Distillers Limited. Interestingly, it was Dave who found all of this whiskey and he went to the ‘big guys’ to try and pitch them on a premium rye whiskey and they laughed him out of the room. But, he had an eye still on all this booze, he just didn’t have the money to buy it. So, it was only when he found an entrepreneur by the name of Raj Bhakta that he was able to finance the purchase of the whiskey. They brought it down from Canada, put it in some used bourbon casks to, you know, soften it up for your bourbon drinking palette. Then they came to market in August 2010 with a rye whiskey for bourbon drinkers, ostensibly. It had all that big body of rye on the front and at the back it had softened up really nicely. What about the farm up there in Vermont. Did that come first, did they approach Dave? Or was it Dave with this idea of bringing a premium rye to market having found these barrels? The ultimate challenge for a master distiller! Well, I think, the history books will show that it happened simultaneously. That being said, Dave had been looking at the rye whiskey category since the early 2000s. So even before people were using rye whiskey as your Manhattan cocktail base (as, sort of, historical cocktail books would suggest you use) Dave had an interest in that category. However, that and the Mount Vernon project was all just a side-gig while he was at Maker’s Mark. At the same time, Raj purchased the WhistlePig farm in 2008 - a 500 acre failed dairy farm in Vermont. Raj knew he wanted to get into the liquor space; considered doing a Vermont vodka, some sort of ‘party-shot’ type thing (this was just after Jaeger was doing fantastically and Fireball was on the up-and-up!) But, he was quickly disillusioned by the nature of that business and, then after connecting with Vendome Copper Stills (the primary producer of stills in the US), when Raj reached out and said he was interested in starting a distillery, Vendome says “if you’re looking to do craft whiskey there’s only one guy you need to talk to and his name’s Dave Pickerell.” They connected, Raj and Dave hammed it out and figured out which direction they wanted it to go, Raj had an interest in whiskey and as an historian in his own right had an interest in rye whiskey in the north-east and Dave says: “Perfect! Not only are we gonna do rye we’re gonna do it at the top end. Because, that’s category that does not exist yet.” There was no such thing as a premium rye. 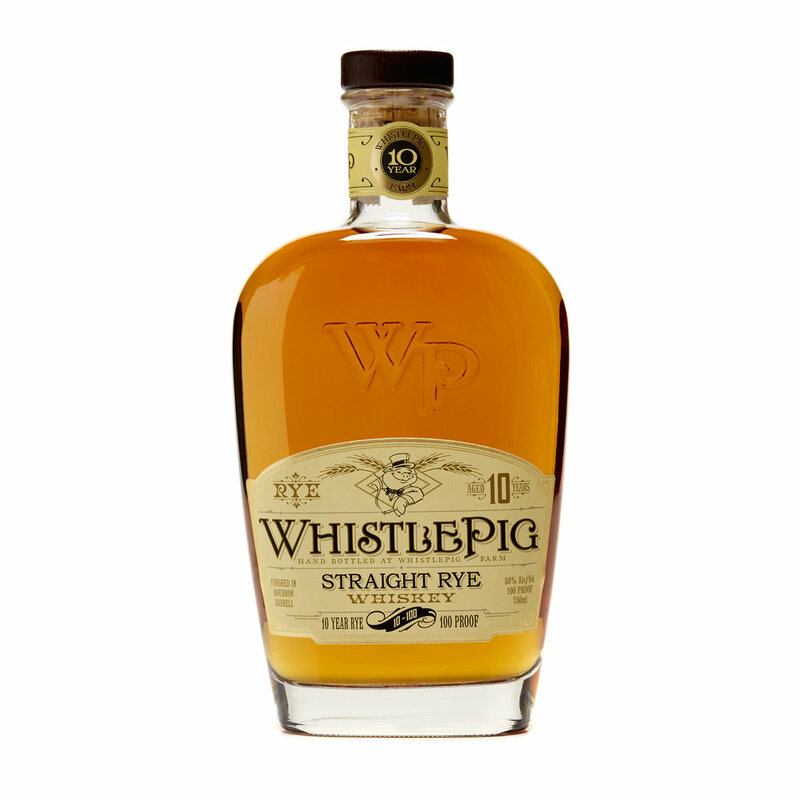 You’ll note that the Boss Hog from WhistlePig is a £600 bottle of rye whiskey. If you go back a decade the most expensive rye whiskey you could find on the shelf was under £20. Such a big leap that the other people that Dave went to first, some of your bigger distilleries, laughed him out the room. But again, Raj has always been a pretty ballsy, daring guy. Dave had all of the know-how and the technical acumen distilling-wise. I mean, I’ve never met a more ‘bartender-friendly’ distiller. Dave’s favourite spot probably wasn’t next to the still but sitting on a bar-stool. So, it really was just a perfect confluence of event, timings and circumstance.